My toddler absolutely loves being outside. Her grandparents garden is full of flowers and birds and soil to dig. Our garden however is a blank canvas with very little to entertain my daughter Eleanor. Now she’s running about I’m on the hunt for garden toys. Over the years we’ve tried to make it better. Last year we grew beans, although I don’t think Eleanor’s Grumpy will do that for us again as I rather neglected them by the end. He also potted us some flowers along the edge of our garden which were delightful. We hope to plant some new flowers there this year. Grumpy also made us a picnic bench a couple of years ago which needs a lick of paint and will be perfect for this summer. But I really want Eleanor to get the most out of the garden. When the weather is good she’ll probably want to spend so much more time outside. She loves feeding the birds, picking flowers or kicking a ball around. 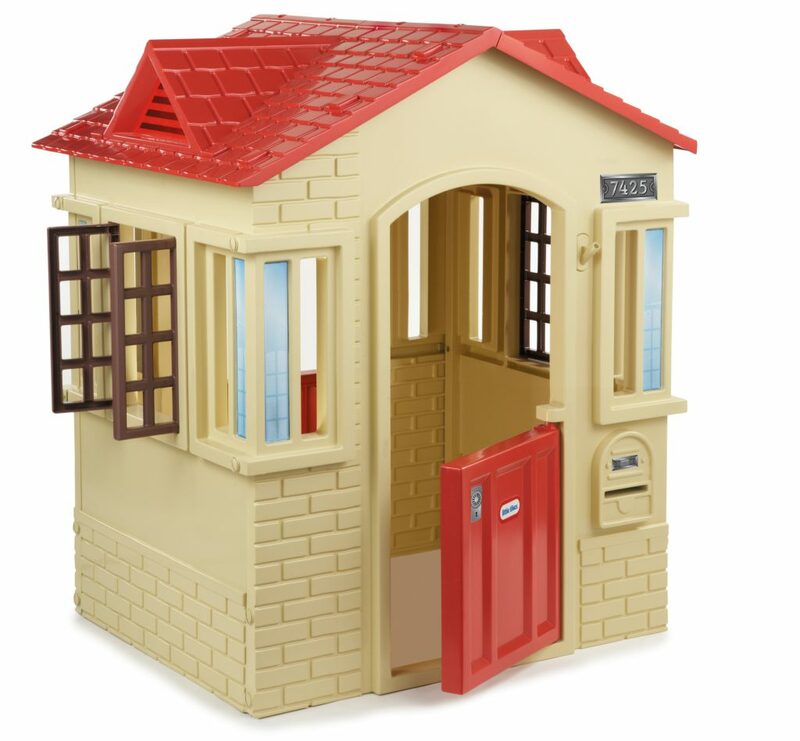 I originally wanted to get Eleanor a wooden playhouse like I had as a kid, but we plan on moving at some point so I want something that is easy to move. I’ve been looking for plastic and I really like the Little Tikes Cape Cottage. It’s great value and it has a smaller footprint which is perfect for our small garden. I think Eleanor will really enjoy opening and closing the windows and doors. She hides in her circus tent in the living room so I fully expect her to hide in here when we are out in the garden. I plan on planting some flower boxes around the outside with some flowers for her to pick. I hope having a playhouse will bring out her imagination and creativity. I was thinking of getting a sandpit but they have one at the park and at nursery. I’m going for a washing up bowl or big plastic box full of water and some toys we already own. We also have a small paddling pool for her to play in which she loved last summer. I want to get Eleanor some sort of ride-on toy. Lots of people recommend the Cosy Coupe which I love and I’m split between that and a scuttlebug. A scuttlebug can be folded down to put in the car to take away with us to the park or on holiday. They use them at nursery and I’ve been told she likes playing on them. Annoyingly we spotted one in a charity shop driving by but by the time we went in it had gone. Eleanor enjoys digging in the garden with Grumpy’s big fork so I want to get her some small tools of her own. I’m going to create a little area of the garden which she can dig up and play in. 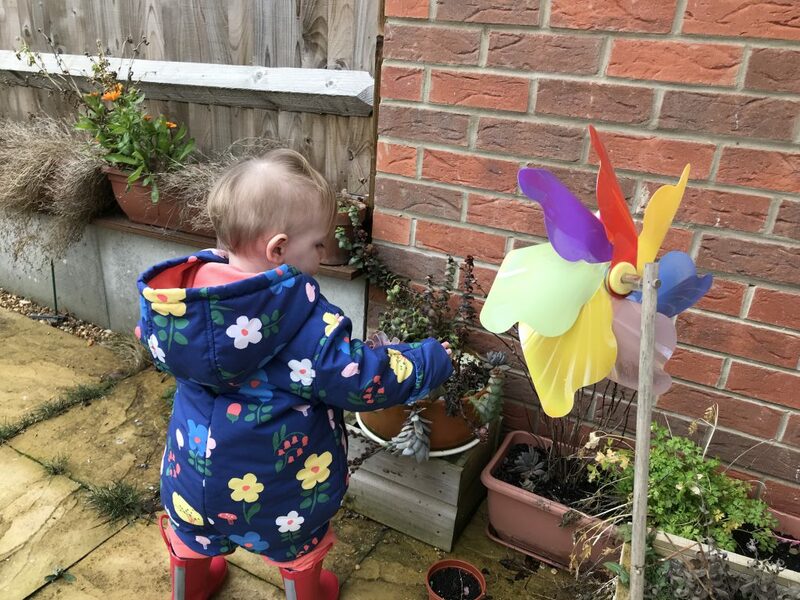 We’ll plant her some colourful flowers and she can watch them grow (or pick them which is what she does now). We’re going to attempt to grow sunflowers, wildflowers and salad leaves this year. She’s going to help me sow the seeds, even if they end up everywhere. And maybe she can help dig up the weeds too. I picked up a bargain metal trowel and fork from Asda for £1 each! Eleanor really likes going on a slide but we have them at the local park so I don’t think I’m going to get her one. I wonder if the novelty would wear off if we had one. She has a swing at her grandparents house that they have handing between a tree and a rose arch. I picked up a back of colourful chalk from IKEA the last time we went for our kitchen chalkboard. For a £1 it’s a bargain so we’ll be using these on the paving slabs on the patio. I’d love it if my husband could design a fence mountable board painted in blackboard paint, but that may be asking too much (I want more slabs laying first!). I haven’t listed many toys because I don’t think she needs everything. I want to be able to take her to the park and play on the slide and swings. Or take her over to friends who have something different to play with. Her Grumpy is a big gardener so I’m sure he’ll be teaching her lots about growing plants and vegetables. The other day they were digging in soil and looking at worms. I love seeing her enjoy the garden for what it is and use her imagination. 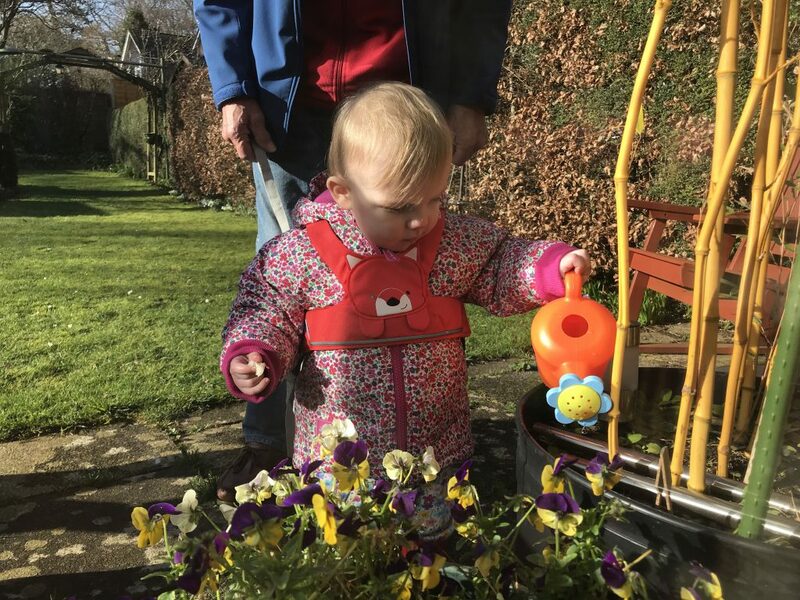 What are your toddlers favourite garden toys?